Situated between two Baltic States Vilnius and Riga, Panevezys is the fifth largest city in Lithuania. Panevezys lies on the shore of River Nevėžis, in the middle of Lithuania. Being located close to Via Baltica highway between Vilnius and Riga, Panevezys is easily accessible in a hired car. Excellent geographical location, good road infrastructure and the international highway Via Baltica makes Panevezys a popular business city. Panevezys is well connected with Rubikiai/Anykščiai and Biržai by narrow gauge railway. The travelers visiting this city for business purpose or for a short vacation can easily explore all the destinations by renting a car with Lithuania Cars Rental. Travelers visiting this city can find many admirable tourist attractions. Panevezys is a perfect amalgamation of old and new ethnicity. The travelers interested in visiting the religious sites can see the beautiful St. Peter and Paul’s Church which is the descendant of the oldest Christian shrine of the city. The most popular tourist spot of the city is the Old River Bed which hosts various interesting festivals. 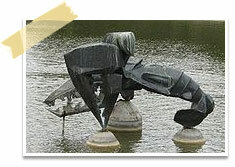 The beautiful sculptures at the Old River Bed provide it with a lively and vibrant atmosphere. Nearby Old River bed is the building of J. Miltinis Drama Theatre which was started several decades ago. The art lovers can spend pleasurable time at the Ethnography Museum which is world-renowned for the incredible artifacts of historical and cultural heritage. The art gallery hosts around 20 different exhibitions, deliberations about culture and art research and amazing music and literature evenings every year. The photo gallery also organizes 30 exhibits of photography every year. Lithuania Cars Rental is a well known car hire company operating several rental locations throughout Lithuania. Whether on a family vacation or business trip, Lithuania Cars Rental offers the best car hire solution that suits every requirement. At Lithuania Cars Rental travelers can find top-notch car hire service, excellent range of cars at the most nominal car hire rates.